The Space Age began just as the struggle for civil rights forced Americans to confront the long and bitter legacy of slavery, discrimination, and violence against African Americans. Presidents John F. Kennedy and Lyndon Johnson utilized the space program as an agent for social change, using federal equal employment opportunity laws to open workplaces at NASA and NASA contractors to African Americans while creating thousands of research and technology jobs in the Deep South to ameliorate poverty. We Could Not Fail tells the inspiring, largely unknown story of how shooting for the stars helped to overcome segregation on earth. Richard Paul and Steven Moss profile ten pioneer African American space workers whose stories illustrate the role NASA and the space program played in promoting civil rights. They recount how these technicians, mathematicians, engineers, and an astronaut candidate surmounted barriers to move, in some cases literally, from the cotton fields to the launching pad. 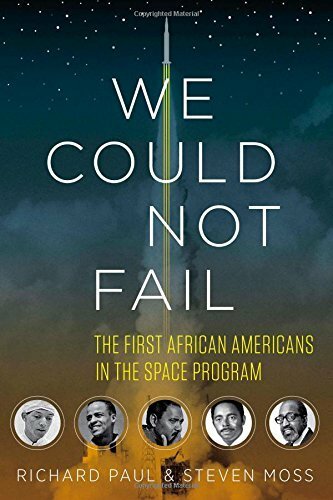 The authors vividly describe what it was like to be the sole African American in a NASA workgroup and how these brave and determined men also helped to transform Southern society by integrating colleges, patenting new inventions, holding elective office, and reviving and governing defunct towns. 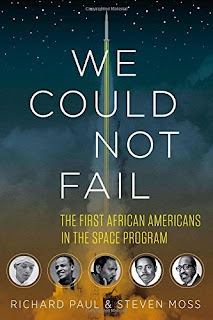 Adding new names to the roster of civil rights heroes and a new chapter to the story of space exploration, We Could Not Fail demonstrates how African Americans broke the color barrier by competing successfully at the highest level of American intellectual and technological achievement.